KL FSM Extreme-Duty Chain Lube. Keep downtime on the run. Click here to request your FREE sample today. How many times have you had to go back to your tool box and find a tool to break off a damaged nut or bolt. Corrosion costs literally millions of dollars in downtime and added repair costs. Use Krown both to cure corrosion problems and then again to keep them away. stay running longer, better and faster. 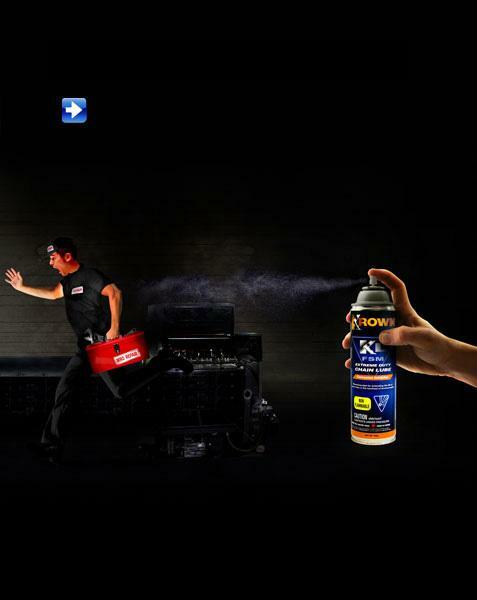 MRO need, Krown has got you covered.